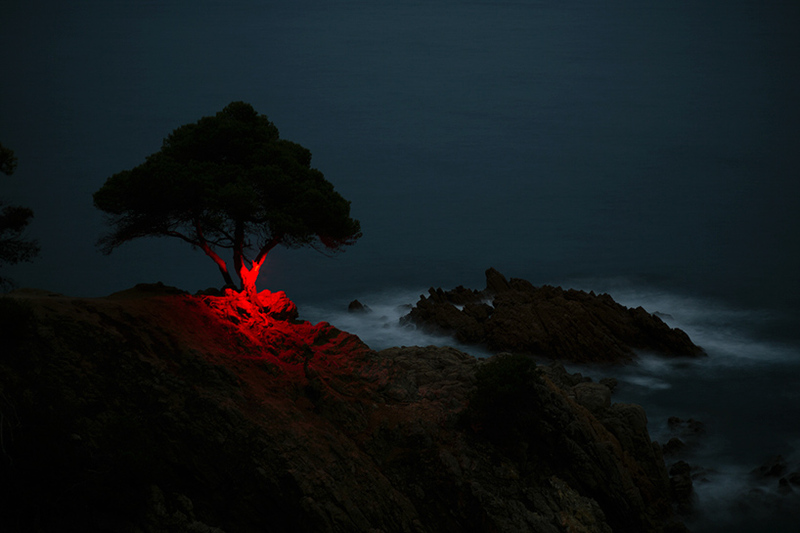 paris-based photographer nicolas rivals has realized the series ‘la línea roja’ — a visual study of geometry and form in dialogue with nature. 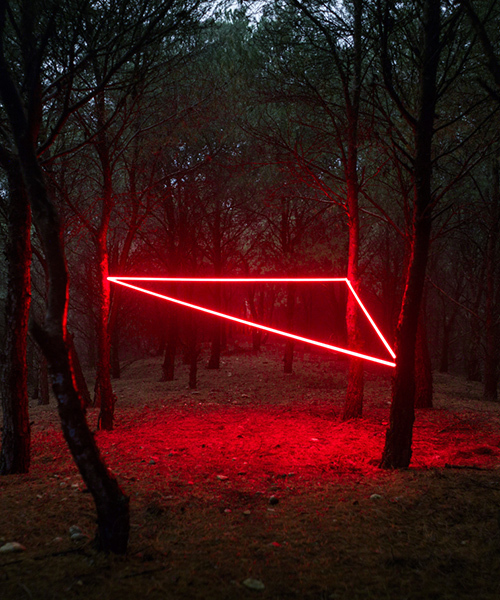 across scenic landscapes in spain, rivals has installed luminous, neon-hued triangles, squares and lines intersecting with the surrounding environment. 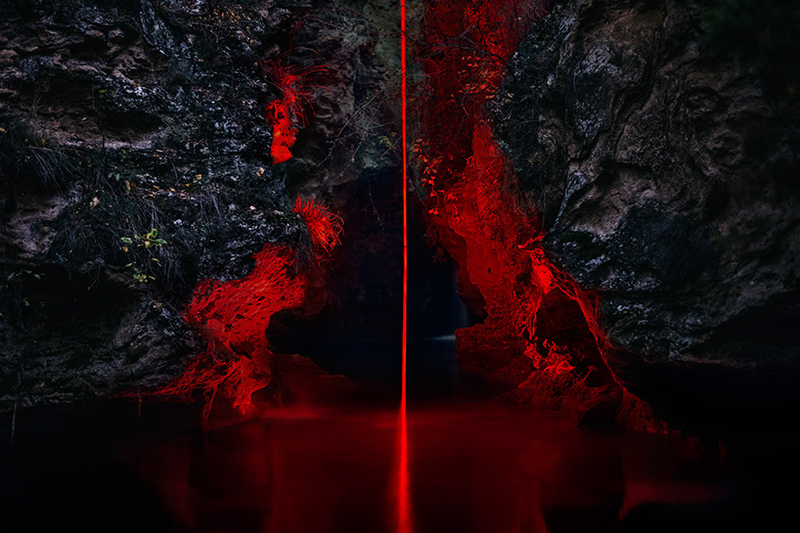 these shapes engage with the earth, cutting into rocky cliffs, squeezing between the trees, and standing semi-submerged in a sea of water. 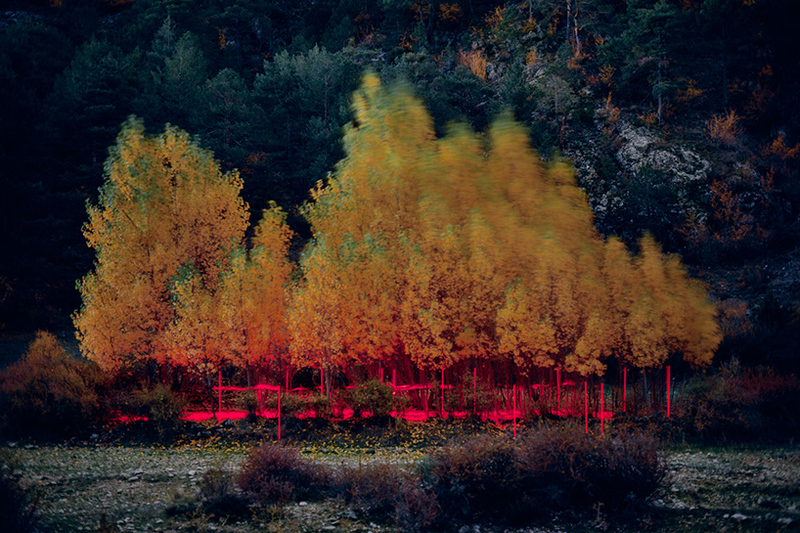 rivals’ ‘la línea roja’ is conceived as a journey through spain, one that seeks to connect man and nature. 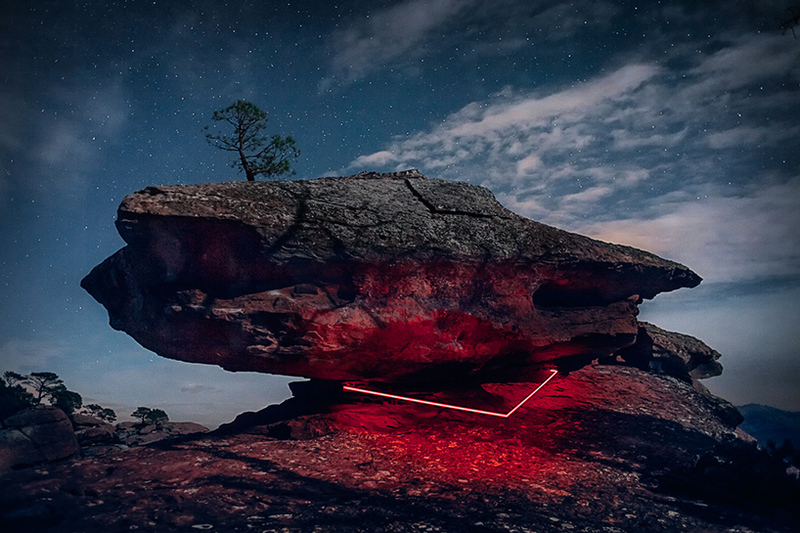 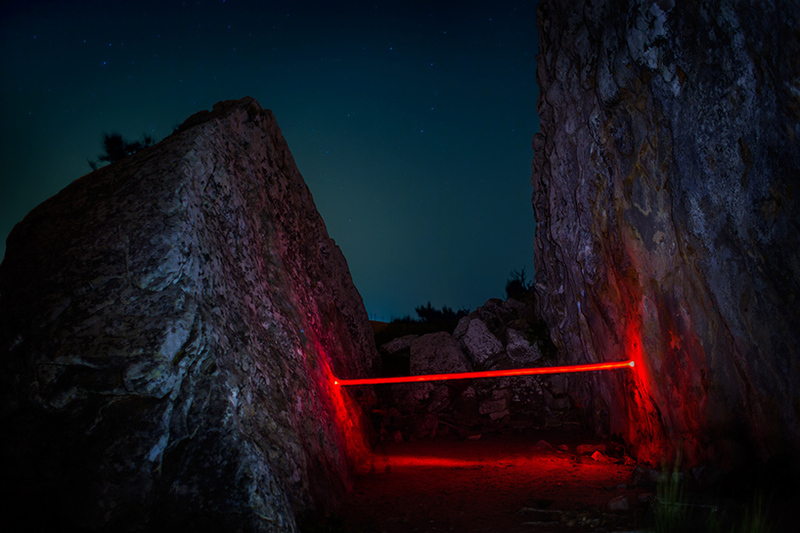 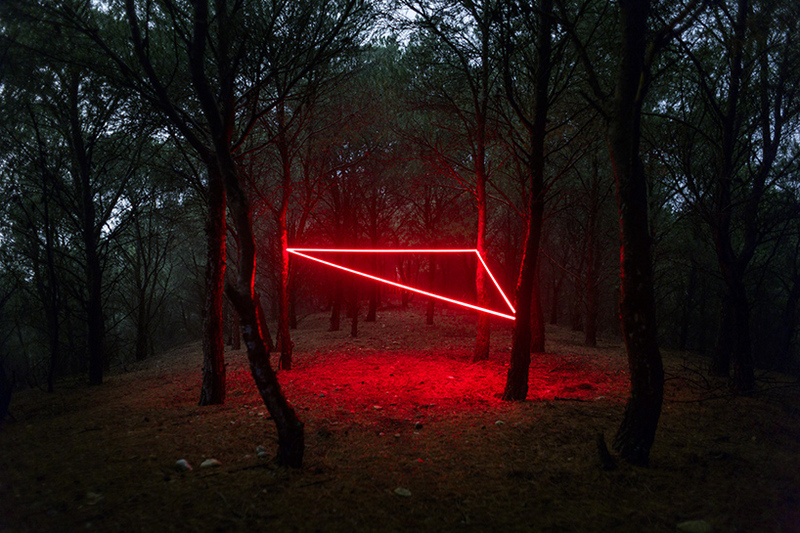 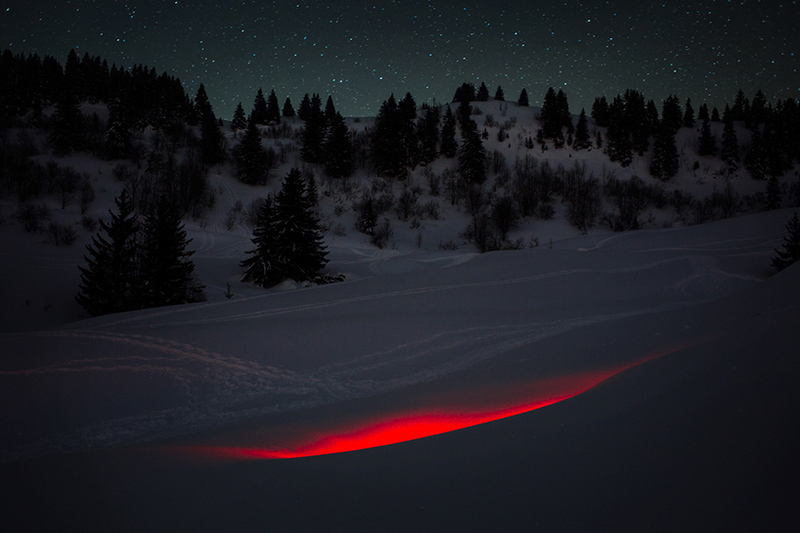 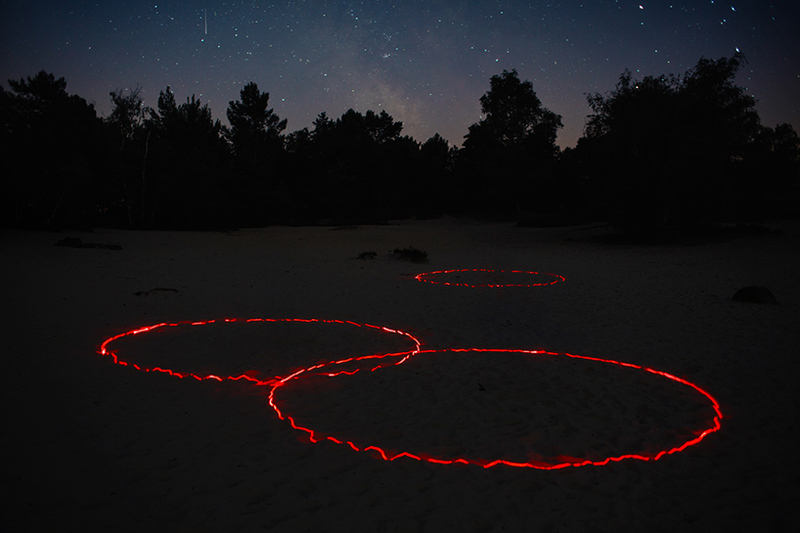 the images are not digital compositions, nor 3D post-production works, but rather the result of physical installations in nature at night, captured with long exposure photographic techniques. 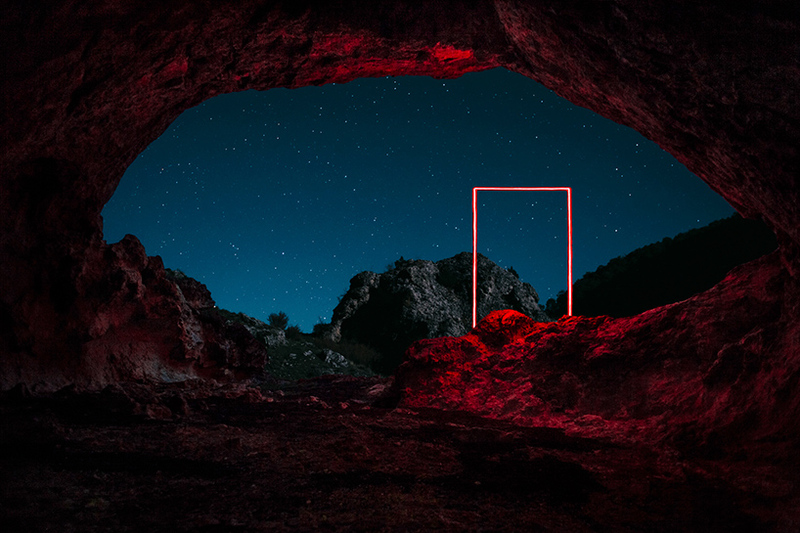 indifferent to symmetry, the glowing forms mysteriously intersect the surrounding landscape and eerily illuminate areas of thick brush that would otherwise be completely dark. 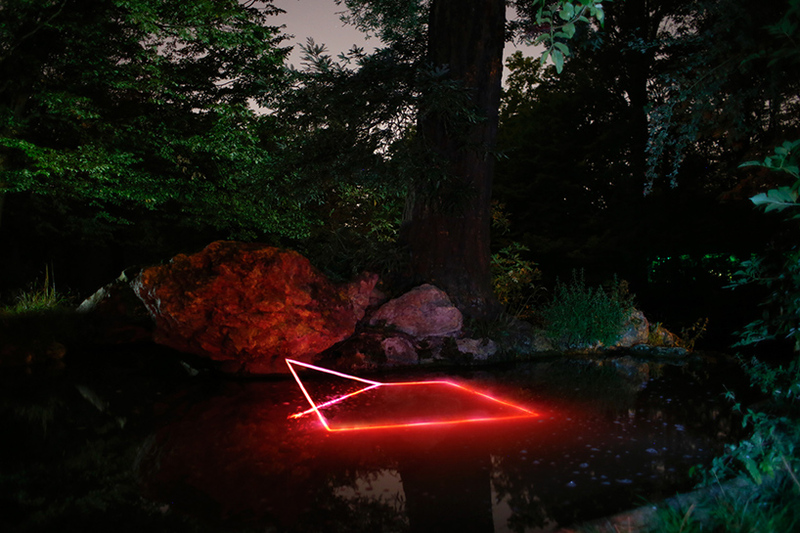 an intensely red ray of light is seen as a triangle, squeezing in between a series of nearby trees; a rectangle, rising vertically from a rocky mountain; and a square, peeking out from beneath the surface of a shallow pool of water.